Soon as you create it, copyright it. I've been busy, but just so you know I've been thinking about you, here's a quickie. 1. You create the work in a fixed form. 2. Add copyright notice. You're done. If you want to file so you can sue someone later for damages, add these steps. 3. Download form provided on copyright office web-site and fill it out. 4. Send in material to be registered with the low fee. Note: You can send in everything you've ever done to date to be registered under one form for one fee. However if you need to separate projects you have to file them separately. For instance, if you've done 5 issues of a series called Rough Riders Then submit all 5 issues on registration form with the title Rough Riders. If you've done 3 issues of a series called Wet Noodles Then submit all 3 issues on registration form with the title Wet Noodles. As far as characters are concerned; they are covered if they appear in the story. Be aware you can't copyright ideas or names. This is all the law requires you to do; all I've ever done and all you need to do. It's not complex, really! Now go forth and copyright! Please be sure to read Part Two in tomorrow's post. Great post. It's true that people most of the times belive that copyright protection is a very complecated thing. It is not, and your post proves it. that way i dont have to pay monthly or anual fees and i get a much stronger protection. Thanks for your comment. 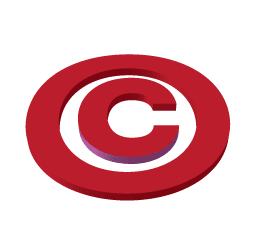 I'll discuss CopyrightsWorld.com in my next post.